Pip Hardy and Tony Sumner are founding directors of The Pilgrim Projects, UK – an education consultancy specializing in health care quality improvement. Hardy and Sumner established the Patient Voices Programme in 2003 to communicate patient and clinician experiences to designers and deliverers of healthcare, and to support and enrich the development of ‘delightful’ learning. Please join us on Tuesday, Sept. 8, 2015 between noon and 1 p.m. in the Natalie and Lansing B. Lee Jr. Auditoria Center on the Health Science Campus as Hardy and Sumner will present “The Patient Voices” to physicians, residents, students and staff. A livestream of the event have been scheduled for those who are not able to attend the event in person. For the livestream, please visit gru.edu/stream. Click here to read the full story featured in Advance Healthcare Network’s Executive Insight. Candy Candler went the extra mile to demonstrate a lesson in selflessness to her third-grade students. She donated her kidney to a stranger. It was the first altruistic kidney transplant surgery performed by Drs. Todd Merchen and Jason Rolls at Georgia Regents Medical Center. With most kidney donations, the donor selects the recipient such as a relative, close friend or acquaintance. But Candler’s donation was different; she had no idea who would be getting her kidney. “My daddy always told me that I couldn’t save the whole world, but I told him I can – one life at a time,” said the Thomson Elementary School teacher, who begins her 17th year of teaching this month. While working on an assignment about New Year’s resolutions this past January, Candler encouraged her students to be more selfless in 2015 and pledged to do the same. A short time later, one of her young pupils asked for prayer for her grandmother who was in dire need of a kidney transplant. The girl also shared an information card with Candler about transplantation that got her thinking. “I’m an organ donor, but that really only helps others after I die,” 38-year-old Candler said. The school’s 2010 Teacher of the Year did a little homework and found out that she could save a life much sooner by donating one of her kidneys now. So Candler started the process of blood work and testing in the hopes of donating a kidney to her student’s grandmother. But before she finished the process, the grandmother found a donor. To the surprise of her family and friends, Candler decided to go ahead and offer her kidney for someone else in need. 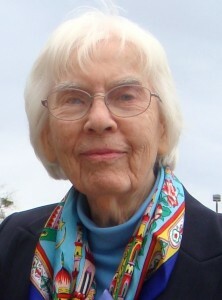 That “someone else in need” turned out to be another educator, 74-year-old Sharon Dole, a professor at Western Carolina University near Asheville, North Carolina. In October 2014, Dole’s daughter Jennifer Tinsley of North Augusta was being evaluated to donate. “My mom has given to me all of my life, so I wanted to give something to her,” 45-year-old Tinsley said. The tests, however, revealed that the mother and daughter were incompatible. Dole joined about 102,000 people nationwide on the kidney transplant waiting list with the United Network for Organ Sharing, or UNOS, and the 5,500 across Georgia-Carolina who need a kidney. Fortunately, her wait lasted just a few months. While Dole was doing some teaching in Jamaica in the spring, her daughter got the phone call that a donor had been located for her. 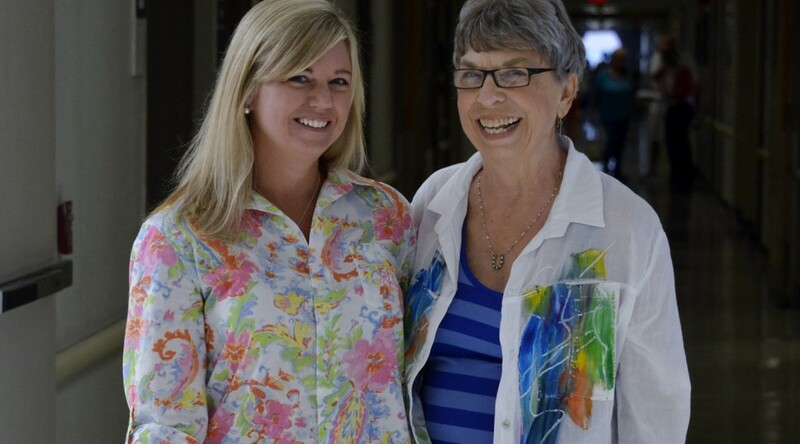 “When I found out she would be getting a donor kidney, I was so relieved,” Tinsley said. 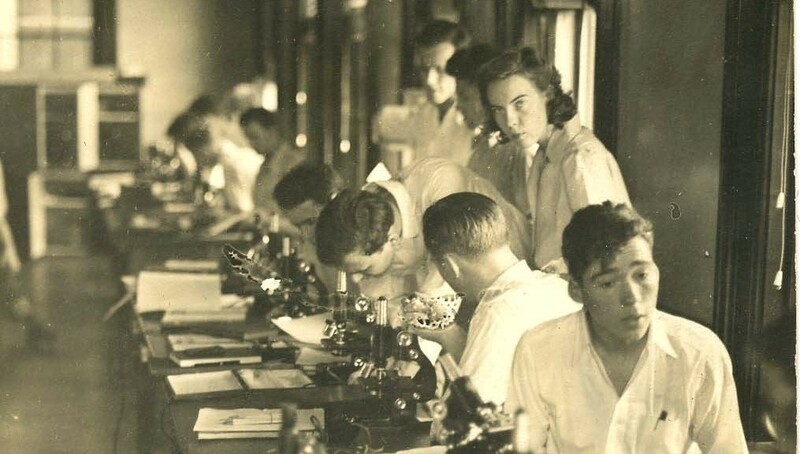 On July 8, with her husband Chuck at her side, Candler checked into the medical center. While she was waiting to be taken to the operating room for surgery, she heard a family in an adjacent room talking excitedly about how their mother was finally getting a kidney that day. The two special education instructors met for the first time that morning. Dole said she can’t say enough good things about Candler. Candler has become a literal example of what it means to give of yourself – and it’s a lesson that is sure to motivate her students for years to come. Some have told Tinsley that since she couldn’t give a kidney to her mom she doesn’t have to donate now. But this wife and mother of four said that would almost be like denying someone else. To find out more about kidney donation, contact the Georgia Regents Medical Center transplant offices at 706-721-2888 or visit unos.org. AUGUSTA, Ga. – Allen Kelly, former executive director of surgical services with Advocate Christ Medical Center in Oak Lawn, Illinois, has been named assistant vice president for perioperative services at Georgia Regents Medical Center. Kelly has more than 25 years of experience in surgery administration, including multiple leadership roles at St. John’s Hospital in Springfield, Illinois, the teaching hospital affiliated with Southern Illinois School of Medicine, and Riverside Medical Center in Kankakee, Illinois. Prior to that, he served as a staff nurse in an adult intensive care unit and as a medical specialist in the U.S. Army. He earned a bachelor of nursing degree from Illinois Wesleyan University in Bloomington, Illinois, and a Master of Science in Health Services Administration from the University of St. Francis, in Joliet, Illinois. Kelly is a member of the Association of periOperative Registered Nurses (AORN). AUGUSTA, Ga. – The Executive Committee of the Board of Trustees of The Medical College of Georgia Physicians Practice Group Foundation, doing business as Georgia Regents Medical Associates, will meet at noon on Wednesday, Aug. 12, on the fourth floor of the Medical Office Building, BP-4306. For more information, contact Lauren Neville at 706-724-6100. Patients with type 1 diabetes have significantly lower blood levels of four proteins that help protect their tissue from attack by their immune system, scientists report. Conversely, their first-degree relatives, who share some of the high-risk genes but do not have the disease, have high levels of these proteins circulating in their blood, said Dr. Jin-Xiong She, director of the Center for Biotechnology and Genomic Medicine at the Medical College of Georgia at Georgia Regents University. Healthy individuals without the risky genes also have higher levels of the four proteins, IL8, IL-1Ra, MCP-1 and MIP-1β, according to the study in the Journal of Clinical Endocrinology & Metabolism. The findings point toward a sort of protein cocktail that could help at-risk children avoid disease development as well as new biomarkers in the blood that could aid disease diagnosis, prognosis and management, said She, Georgia Research Alliance Eminent Scholar in Genomic Medicine and the study’s corresponding author. The scientists looked at a total of 13 cytokines and chemokines, which are cell signaling molecules involved in regulating the immune response. They first looked at blood samples from 697 children with type 1 diabetes and from 681 individuals without antibodies to insulin-producing cells, a hallmark of this autoimmune disease. They then analyzed the blood of a second and larger set of individuals, which included 1,553 children with type 1 diabetes and 1,493 individuals without any sign of antibodies. In this largest study of its kind, they consistently found a higher percentage of type 1 diabetes patients had significantly lower levels of the same four proteins. 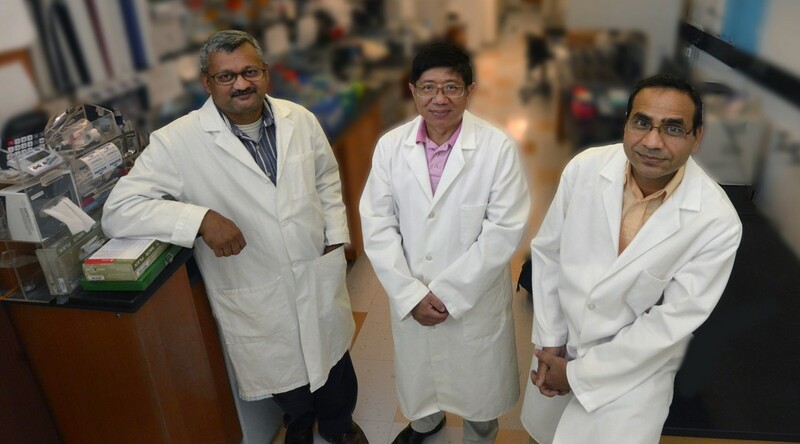 Individuals who have three of the known high-risk genes for type 1 diabetes but high serum levels of these four proteins are less likely to have disease, suggesting that these proteins may provide dominant levels of protection against type 1 diabetes even in a genetically high-risk group, Purohit said. “If the individuals with high-risk genes weren’t making more of the proteins, they likely would have diabetes, said Dr. Ashok Sharma, an MCG bioinformatics expert and study co-first author. One of the proteins found at low levels in patients, MIP-1β, has been shown in animal models to protect against type 1 diabetes development. A recombinant version of IL-1Ra, already used to combat rheumatoid arthritis, is also under study for both type 1 and 2 diabetes. And, human studies have shown that newly diagnosed patients with type 1 diabetes who go into remission have higher levels of IL-1Ra than those who don’t. Cytokines and chemokines can promote or inhibit inflammation – cytokines such as MIP-1β can do both – and the proper mix helps keep inflammation in check. As an example, IL-1Ra, a cytokine secreted by several cell types, including immune cells, is a natural antagonist of the inflammation promoting cytokine IL-1β. Type 1 diabetes is an autoimmune disease, which primarily surfaces in childhood, where the immune system attacks the insulin-producing cells of the pancreas, leaving children facing a lifetime of daily insulin therapy to try to keep blood sugar levels under control. Some of the 13 cytokines and chemokines originally screened for the study were known factors in type 1 diabetes, and the scientists were curious about the role of others. Research funding was provided by the National Institutes of Health and the Juvenile Diabetes Research Foundation. Endocrine clinics based in Atlanta, including Atlanta Diabetes Associates, Pediatric Endocrine Associates and Southeastern Endocrine and Diabetes, contributed to the study. 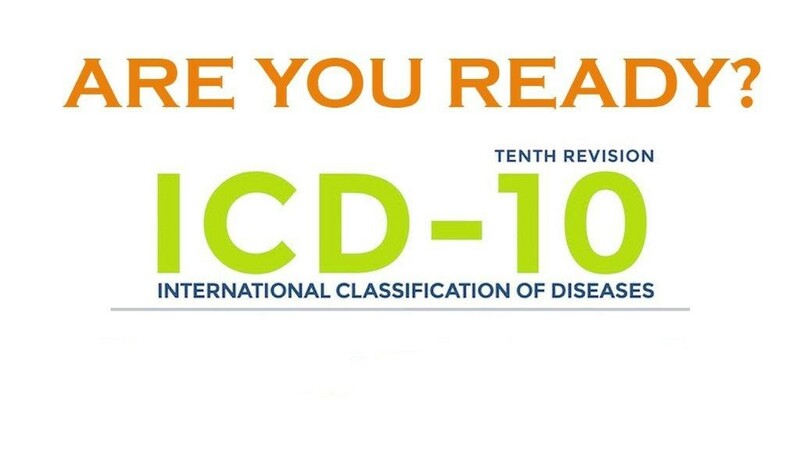 The International Classification of Diseases, 10th Revision (ICD-10) is the new coding classification set to take effect on Oct. 1, and although health care providers around the country have been preparing for over a year, the magnitude of the change is difficult to overestimate. Because the number of diagnostic codes is increasingly dramatically with the change – according to the Centers for Medicare and Medicaid Services, ICD-10 will use approximately 68,000 codes as opposed to the 13,000 used by the current ICD-9 – Dellsperger said he expects a slowdown of the coding process as coders adapt to all the changes. The last time the codes were updated in this country was 35 years ago, and obviously things have changed a lot since then, both in terms of treatment and diagnostic ability. Though practically speaking, the transition is likely to be a headache for providers, insurance carriers and patients alike, the upside is the possibility of obtaining much more specific information about groups of patients. That’s why the training has been so critical, and with all those new, very specific codes, medical professionals have been vocal about their apprehensions. After the year is up, those rejections are going to start happening, and the results will be costly. For more information, or to check up on the countdown clock as it falls ever closer to zero, click here. Starting today, the Modified Early Warning System (MEWS) will help care providers on two nursing units monitor and improve a quicker response to patients experiencing acute clinical deterioration. This early warning system uses vital signs to identify patients at risk. This will promote early detection and prevent a delay in intervention or transfer of the deteriorating patient to a higher level of care. MEWS is a simple physiologic score which is generated when a care giver takes patients vital signs. 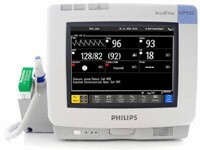 The current vital sign machines used on the medical surgical units are capable of generating this score based on a patient’s heart rate, blood pressure, respiratory rate, oxygen saturation and temperature. A MEWs score of 3 or greater will trigger an early warning alert to include more frequent monitoring, notify the patient’s physician and activate the Rapid Response Team (RRT). “It’s an extra, added protection for our patients that help us identify deteriorating patients early before they become critically ill” said Savannah Agee-Magee, a nurse manager on 4 South. The system, which is currently being piloted on 6 North and 4 South, is being implemented through GRU’s groundbreaking partnership with Phillips and Cerner. Eventually, the entire hospital will be equipped with the early warning system. The pilot program is part of phase one of the project which included additional staff training and vital sign machine upgrades. Other phases of the project include uploading vital signs to the electronic medical record and sending automatic alerts to key care providers when the patient’s score triggers an alert. MEWS will help caregivers be even more proactive in their ability to safeguard a patient’s wellbeing. The Children’s Hospital of Georgia (CHOG) uses a similar system, called the Pediatric Early Warning System (PEWS). 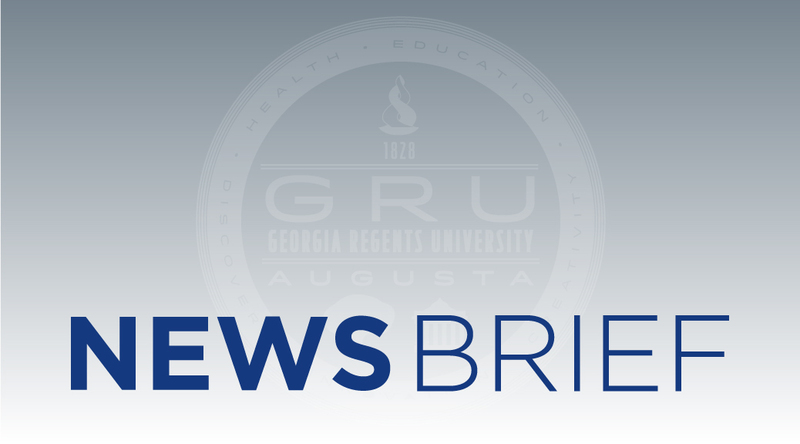 Dr. James V. Rawson, chairman of the Department of Radiology and Imaging at the Medical College of Georgia at Georgia Regents University, will design and lead a new Commission on the Patient Experience for the American College of Radiology. 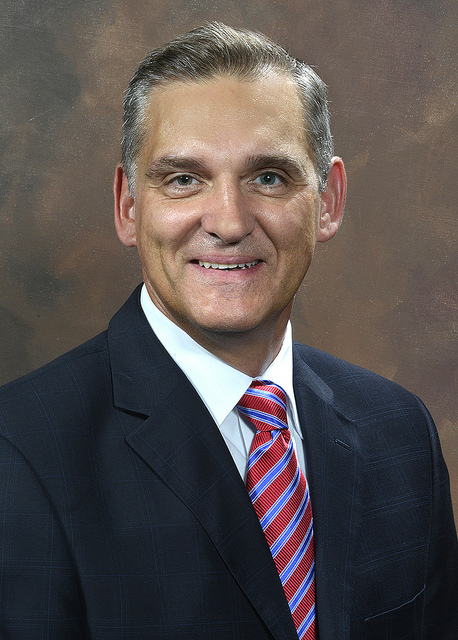 Rawson, who also holds the P.L., J. Luther, Ada Warren Chair of Radiology at MCG, was recently elected to a three-year term on the 33-member Board of Chancellors of the American College of Radiology. He has lectured and consulted nationally on bringing the patient centered focus to radiology. Leading this new commission, he will help his big machinery, high-tech specialty shift its focus even more toward patients. “We have to put the patient in the center of health care,” said Rawson, an advocate for doing just that during his 15-year tenure as MCG’s Radiology chairman. “Everything has to be about the patient,” from how appointments are scheduled to parking to care delivery to timely receipt of study results, he said. Rawson had sick family members throughout his medical school years at Tufts University in Boston and while completing a diagnostic radiology residency at New York Medical College, and a Body Magnetic Resonance Imaging Fellowship at Mallinckrodt Institute of Radiology at Washington University. He believes those experiences made him a better doctor and encouraged him early on to build care around the patient. “I never was very far from the experiences patients and families were having in health systems because I was always on both sides of the table,” said Rawson. He serves on the Patient Experience Operations Committee of Georgia Regents Medical Center and works closely with the GRHealth Center for Patient and Family Centered Care to ensure patient advisors are involved in every facility and service decision made in radiology, from the patient-friendly Breast Health Center to extensive changes still underway in the Children’s Hospital of Georgia. “The challenge was and is to think about how you can improve a child’s experience coming to a strange place that is potentially scary,” Rawson said of changes being made at the children’s hospital that will include color, lighting, and child-friendly technology. Even large imaging machines, such as MRIs, for adults already have lighted overhead boxes with soothing scenes for patients to focus on as they prepare for their exam. Adult waiting rooms also now have the look and feel of a coffee shop. Review of patient satisfaction surveys are part of regular radiology faculty meetings. Mounting evidence indicates that a patient and family focus also yields shorter hospital stays and better outcomes; in fact, hospital reimbursement from federal health insurance programs are now tied to patient satisfaction. “Patient satisfaction surveys are part of the culture of medicine now,” said Rawson, who is excited and honored to help further incorporate this approach into his chosen specialty. 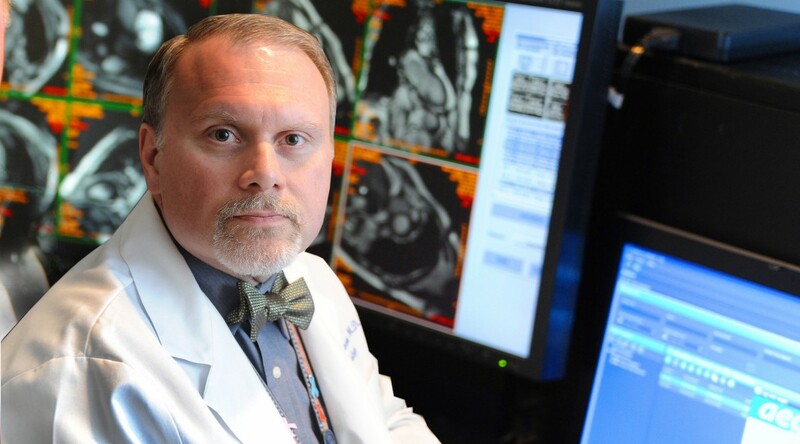 He plans to populate the new American College of Radiology commission with a strong cross section of radiologists, related administrators, as well as patients with experience and/or interest in enhancing the philosophy and practice. Rawson’s other leadership roles with the American College of Radiology include serving as Chair of the Committee on Governmental and Regulatory Issues in Academic Radiology, and the Committee on Economic Issues in Academic Radiology. He is on the editorial board of the Journal of the American College of Radiology and just completed an 11-year term as Chair of Hospital Outpatient Prospective Payment System/Ambulatory Payment Categories for the college.